They say every composer has a piece that “made” him/her a composer, the so-called opus No. 1! I consider Suamox to be that for me, it was the first piece I wrote and that I am proud of. As usual for performers who are also composers the first piece you write is meant to be played by yourself and so I did. The story behind the title is that by 2010 my country (and some others in Latin America) would celebrate the 200th anniversary of Independence and in there was a lot of reinforcement of the native heritage and local culture in the air. Joining this celebration I put into music the sad story of Suamox. There was a temple that Natives used to glorify the Sun (Sua:Sun Mox:Home), this temple was full of gold and served as the religious center for them. In 1537 the Spanish conquistadores took over the temple and stole all the gold killing natives and finally tearing down the building. Nowadays it exists a museum that preserve this heritage, check this link. 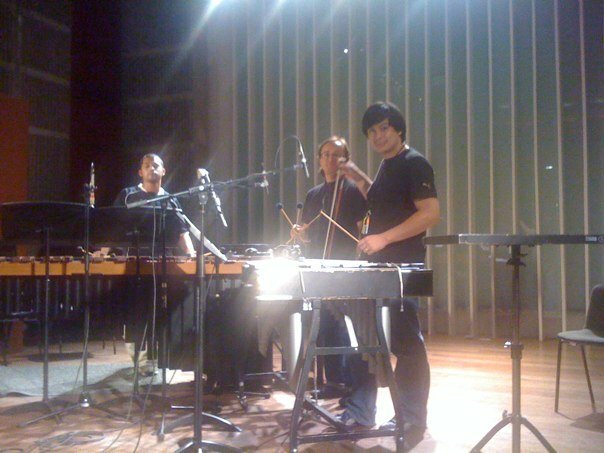 In this recording I played Marimba and my friend Eduardo Caicedo plays Vibraphone.